Today’s blog post is a bit different than the usual chit-chat about makeup and fashion. I though I’d share with you guys, and also recommend, a great book that I’ve been really enjoying reading recently. 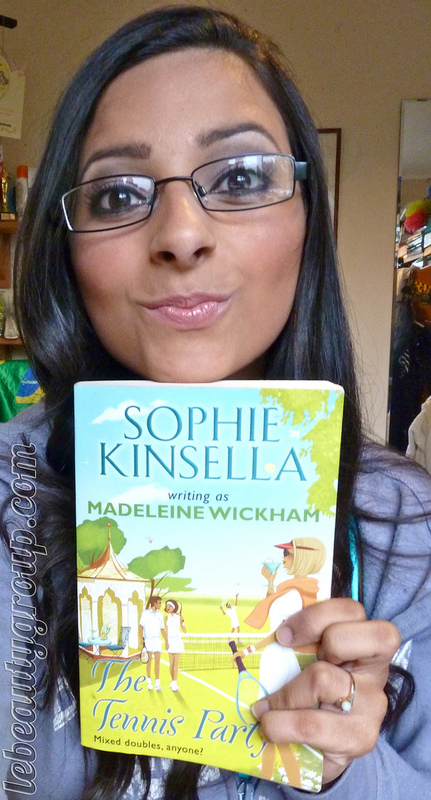 The book is called ‘The Tennis Party’ by Sophie Kinsella (writing as Madeleine Wickham), and it’s about the fun, games, relationships and revelations that happen during this tennis tournament organised by the hosts, Patrick and Caroline, who receive three other couples and an uninvited guest in their house for the weekend. This is a lovely, girly and easy-going book that has had me giggling and basically gripped ever since I got it. If you fancy a light-hearted reading or just something to pass the time, I highly recommend it! Hair Change – Love it or Hate it? Ahhhh quero ler!! !Li um muito bom tb, esse mês! Um dia o nome, vale a pena, sis!! To lendo Cheio de Charme de Marian Keyes, bom tb!! !